Julia can be unseen. She has the ability to “step back” into a shadowy place that renders her invisible to most people. It comes in handy when one is a spy. And Julia has been sent to Mrs. Och’s house to find out who is locked in the basement and what they are doing there. Julia and her brother Dek have been on their own since their father disappeared and their mother was drowned for being a witch. Spira City is a cutthroat place where you live and die by your wits, and fortunately Julia is more clever than most. But when things take a turn for the unusual at Mrs. Och’s house Julia is faced with a conundrum–should she do her job as she has been paid to do, or listen to her conscience? 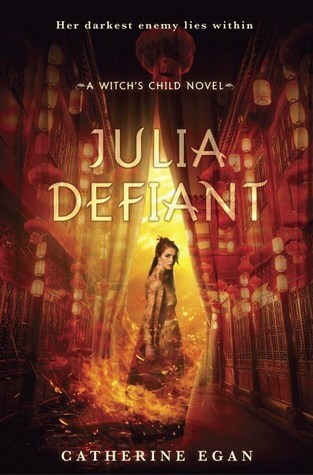 JULIA VANISHES and JULIA DEFIANT are the first two books in the Witch’s Child trilogy, and I devoured them both. Julia is such a complex and likable heroine–funny, warm, and yet a little more ruthless than is good for her. I loved watching her character develop through the course of these two books, and I am waiting rather impatiently for the third, which Catherine says is slated to be released June of 2018. I can’t mention all the characters, but I will tell you there is one named Pia, who is frightening, strong, devilishly quick, and rather ruthless herself. Julia finds her repulsive and yet oddly magnetic, like a tragedy from which she can’t look away. I can’t tell you enough how much I loved these two books. 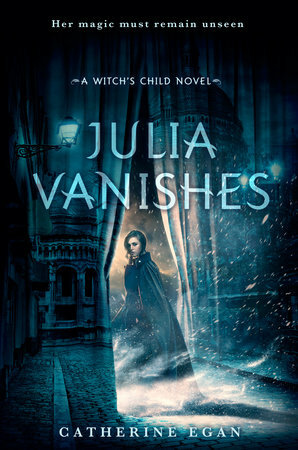 Julia is such a complex character, and I found myself swallowed whole by the story. I aspire to write books as thoroughly good as these. I don’t think I can pinpoint a single seed – every story is the result of a few seeds that manage to connect. I can identify three main “seeds” that turned into JULIA VANISHES. The most obvious seed was just the idea – I don’t know from where, really – of a spy who can step out of sight, so she’s there but unseen, though not fully invisible either. Another seed was connecting this vanishing spy to the world-building of a failed book. I’d written close to two hundred pages of a book about witches before giving it up, but when I decided to write a spy story, I returned to that disaster of a half-written book for salvage. I pulled out the entire setting and a number of side characters, like the fanatical, witch-hunting prime minister, Agoston Horthy, the fiercely protective witch Bianka and her magical little boy, and my favorite character, Pia, a villain I knew I had to use somewhere. The third seed was a kind of daydream-image of a girl in a nightgown creeping through a dark house, picking a lock, and entering a room full of books. That became my first chapter. Julia herself emerged as soon as I began to write, and pulled the whole story along after her. I always imagine my stories will be fun, rollicking thrillers, and they always come out much darker than I intend. After a friend pointed out that most of my characters have lost either a parent or a child, I had to acknowledge that I plant my story-seeds in the ever-fertile soil of my worst nightmares. I’m an outliner through and through. I can’t even start to write until I have a thorough, chapter-by-chapter outline. In the process of drafting, of course, I do diverge from my outline, but whenever that happens I panic and I have to stop and remake the outline to fit with the new direction the book is taking. This happens several times over the course of a couple of drafts, so maybe I’m really part pantser masquerading as an outliner. I do use my outline as kind of a crutch. I envy the faith and courage required to just leap into a story without a plan and see what you emerge with at the end. Style is probably the hardest thing to trace back to particular influences, and also the hardest thing to change about one’s writing, I think. I desperately admire a kind of spare and flawless prose – think Kazuo Ishiguro – that I couldn’t dream of emulating. I’m sure everything I read creeps into my writing one way or another, but when trying to think about influence, it’s easiest to think about late childhood / early teen reads, when I first began to think of writing as a craft. 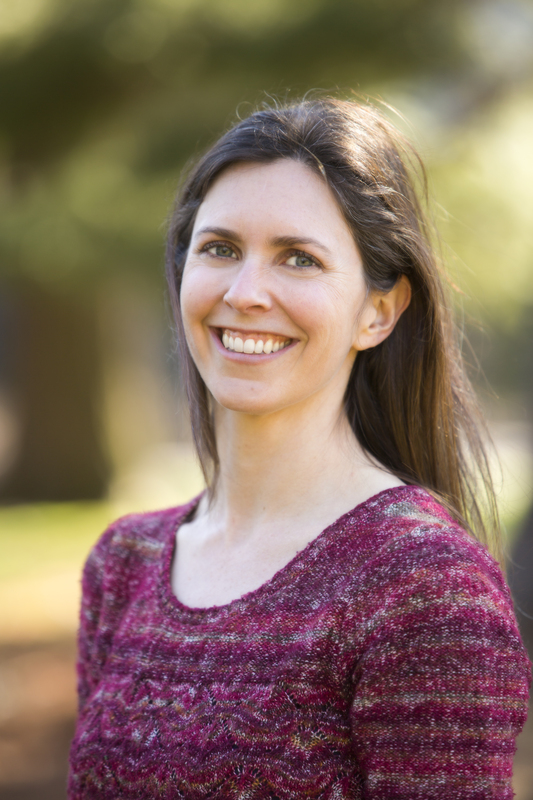 For the first time I wasn’t just absorbed by a good story – I was recognizing good writing. The two books that leap to mind immediately are Louise Fitzhugh’s THE LONG SECRET, which was a revelation about writing complicated shades-of-grey characters, and how seeing a character from different perspectives changes everything (Harriet from HARRIET THE SPY is a central character, but she is mostly seen from Beth Ellen’s point of view), and Dodie Smith’s I CAPTURE THE CASTLE, also a master class in character, voice, and giving the reader what they need instead of what they want. No! When my children were smaller I wrote with all kinds of noise in the background, but now I prefer silence whenever possible. I just finished THE BOOK OF DUST – for fans of Philip Pullman’s HIS DARK MATERIALS, it doesn’t disappoint – and now I’m reading Carmen Maria Machado’s riveting short stories, HER BODY AND OTHER PARTIES.